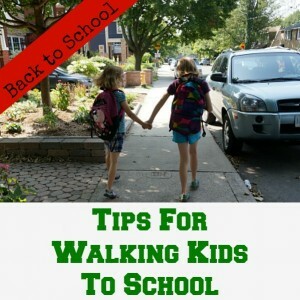 Every September I sit down to share how I’m feeling about the kids heading back to school. This time around I didn’t know if I was going to be able to write everything down. Man oh man, time really does creep up on you. I mean, as parents we all know that it does. Yet, when those milestones slap you across your face on a cool September morning – the impact is real. This morning my eldest made her way to high school. Wowza. High School, man. When I think of high school my mind races to so many great memories and so many hard memories. The next 4 years are going to be interesting. I have to say, she was prepared, organized and ready to go. In my heart I know she’ll be fine…but high school, man. There are so many unknown variables. On the other hand, my youngest daughter hopped on a city bus and made her way to grade 6. Our school board doesn’t provide transportation to kids starting in grade 6. 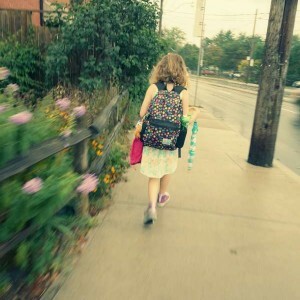 Yikes…my 11 year old is a city commuter?! This year will be interesting for her as well. I haven’t shared the issues she’s had with her knee over the last few months. The reason I have stepped back from blogging (since JUNE!) is because of my daughter. She severely dislocated her knee cap back in June – the 6th time it happened in 6 months. So, she missed the last month of school, was finally able to walk in August and has been working hard to rehabilitate her knee all summer. She’s too young for knee surgery – so we are hoping for no more dislocations (crossing fingers and toes). Reality for my daughter has changed. 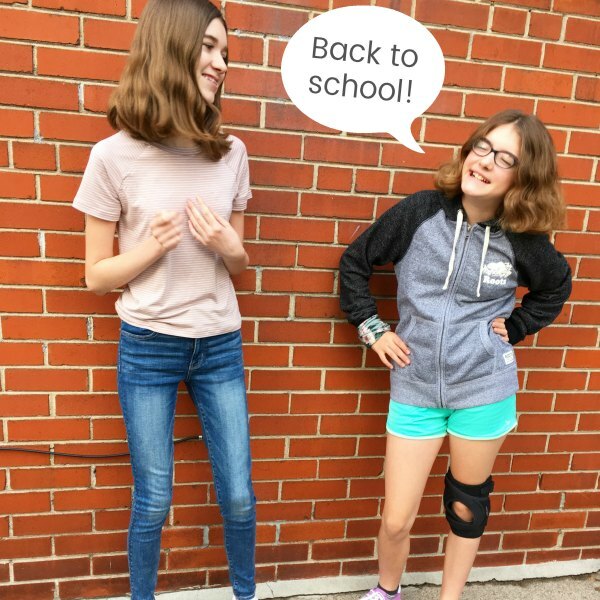 She now wears a knee brace (for the next couple of years) and has limitations on her mobility…no jumping, running and changing direction. She can swim, but nothing that involves twisting her knee. Oh, and she can’t dance. My beautiful ballerina had to retire her slippers and tutu. Yep, a new reality. As for me, I have to say I’m coping fairly well. With each passing year I’m learning to love the changes and new experiences with my girls and not waste tears on their growing up. I attended the funeral of a lovely young woman on the weekend. She was my age and left behind a young daughter and husband. It was heart breaking, truly. I’m grateful to be here to witness all the remarkable things my girls do every single day…even if those things are leading them out of the family nest. They will soar. So to you I say, happy new year! Happy back to school. Happy back to routine.